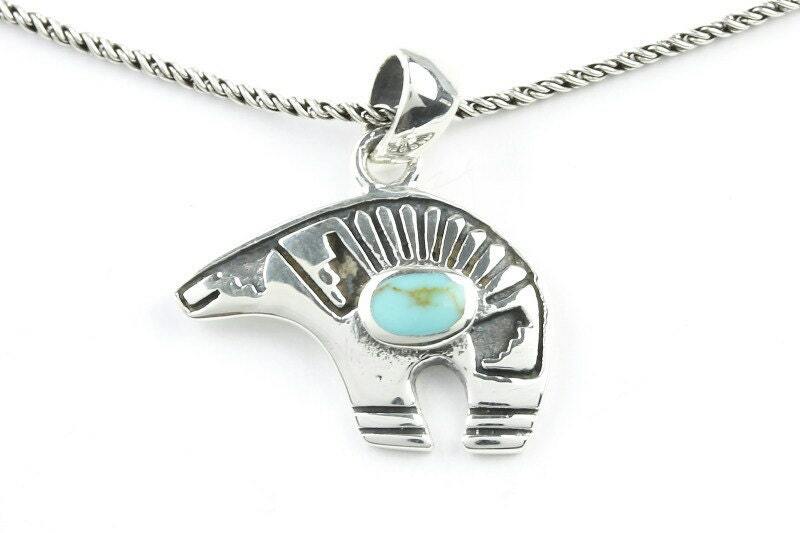 The western bear necklace displays a turquoise center stone. The dark patina shows the southwestern details of the piece. Beautiful and super fast shipping- thank you so much. such a nice piece. I love it! Shipped on time. It's a little smaller than I thought and it flat on one side. I can still wear it. 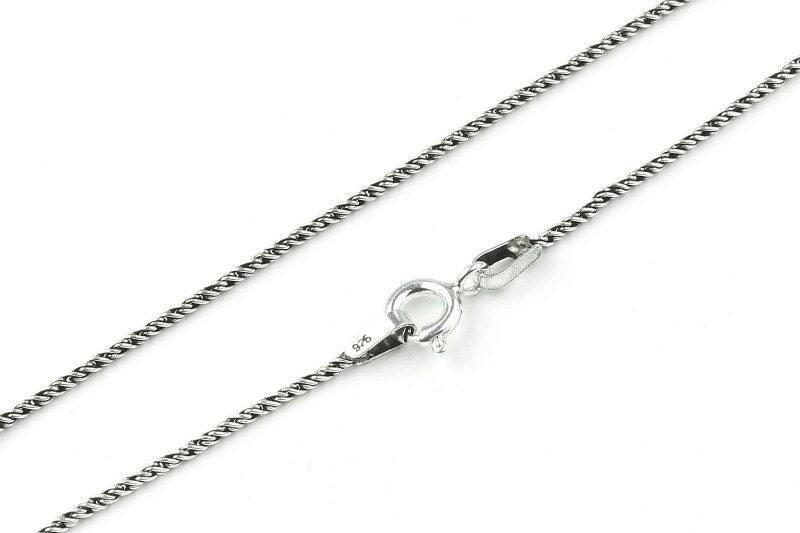 Not sure if the chain is sterling, so won't wear that. The necklace is nice I did not like paying customs before getting the necklace I have had to pay 2 times now with items coming from America.